It’s a Valentine’s Day points bonanza! I wrote that you could earn bonus Southwest points from buying flowers and gifts at 1-800-Flowers. And now JetBlue has added a similar promotion! You’ll earn 1,750 JetBlue points for every order over ~$30 until February 15, 2015. Use promotion code “TB1750” to get the bonus points. Keep in mind, 1-800-Flowers also sells gift baskets, fruit baskets, baked goods, and treats! Not all items are eligible for the promotion. And you’ll pay shipping fees of ~$15+ for each order, unless you enroll in the Celebrations Rewards program. It costs ~$30, but is well worth it because you get unlimited free shipping for a year. Like Southwest, the number of points required to book a JetBlue award ticket depends on the cash price of the ticket. Depending on the route, JetBlue points are worth ~1.5 cents each, so 1,750 points is worth ~$26 (1,750 points x 1.5 cents per point). That means your net cost on a ~$30 order is only ~$4 ($30 order – $26 value of points). One-way award flights start at 5,000 points plus ~$6 in taxes and fees, and round-trip award tickets start at 10,000 points plus ~$11. And there are no blackout dates! If there’s a seat available on a flight, you can book it using points. There are lots of other options to earn extra miles and points through 1-800-Flowers. Check Evreward, Cashbackmonitor, and Cashbackholic for the most current deals! And don’t forget to check your AMEX account to see if you’re targeted to receive $15 off your $50 1-800-Flowers purchase. So if you use your synced American Express card you’ll save money. You’ll earn 1,750 JetBlue points when you place an order of ~$30 or more at 1-800-Flowers. Use promotion code “TB1750” and order by February 15, 2015, to get the points. 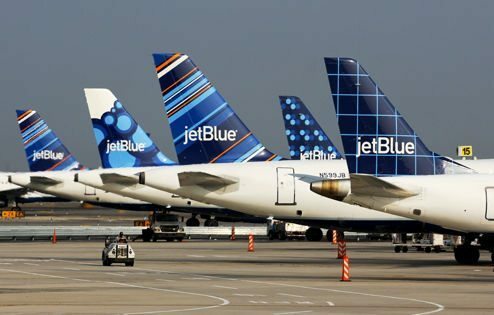 You’ll get ~$26 worth of airfare with 1,750 JetBlue points, so this is a good deal!